Size : 10.0 x 13.4 inches. / 25.5 x 34.0 cm. 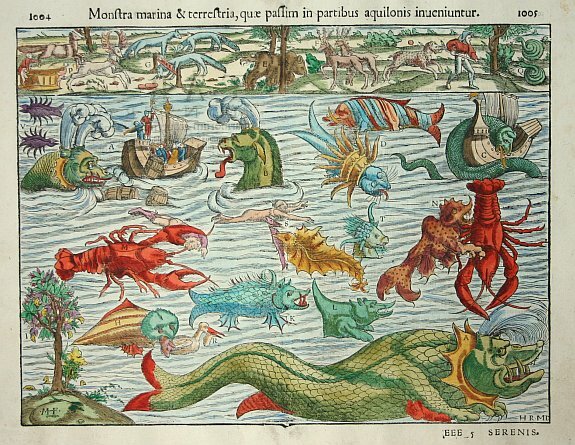 Description :A fine detailed woodcut depicting a superb variety of fantastic sea-monsters, such as might be encountered by a sailor in northern waters. This famous piece may well have inspired the similar collection of monsters found on Ortelius' map of Iceland. Condition : Good, the centerfold is strengened for protected reasons.